This is a feed grade anticoccidial premix/supplement which protects layers and broilers against gut parasites. 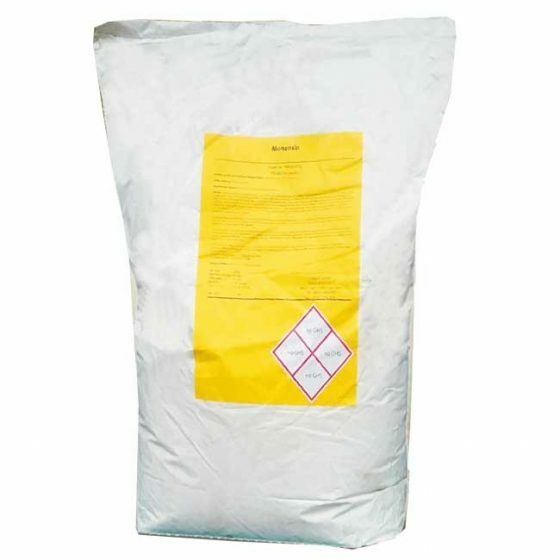 This feed supplement protects the tissues of the intestine against Eimeria sp, an organism responsible for causing extensive damage to the intestinal microflora and as such result in into necrotic enteritis. Monensin + Vitamin E is recommended for birds between 3 days to 14 weeks of age. Monensin + Vitamin E premix, when added to the feed, serves as a natural antioxidant. This it does by protecting body cells, keeping them in stable conditions, and preventing liver damage. 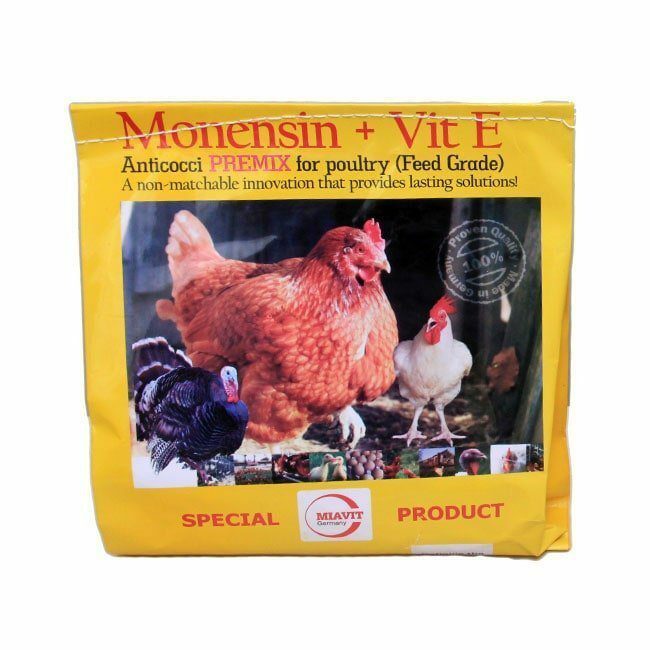 The Monensin (Coxidin 200) = Vitamin E is a Miavit GmbH brand feed-grade anti-coccidial premix for poultry which helps to improve birds’ immunity significantly through the stimulation of antibody production, phagocytosis, thus increasing resistance to disease-causing agents. It increases egg productivity in laying birds as a result of higher feed intake and efficiency, as well as better nutrient digestibility. Monensin impacts the gut biota by promoting positive bacteria to accelerate the growth and performance of birds. Vitamin E takes over important functions in the immune system: stimulates antibody production, the phagocytic and bactericidal effects of phagocytes, thus stimulate resistance to diseases. Vitamin E also protects the muscle cells and avoid degeneration of muscle fibers. This helps the chickens to build up a robust foundation for successful production performance.